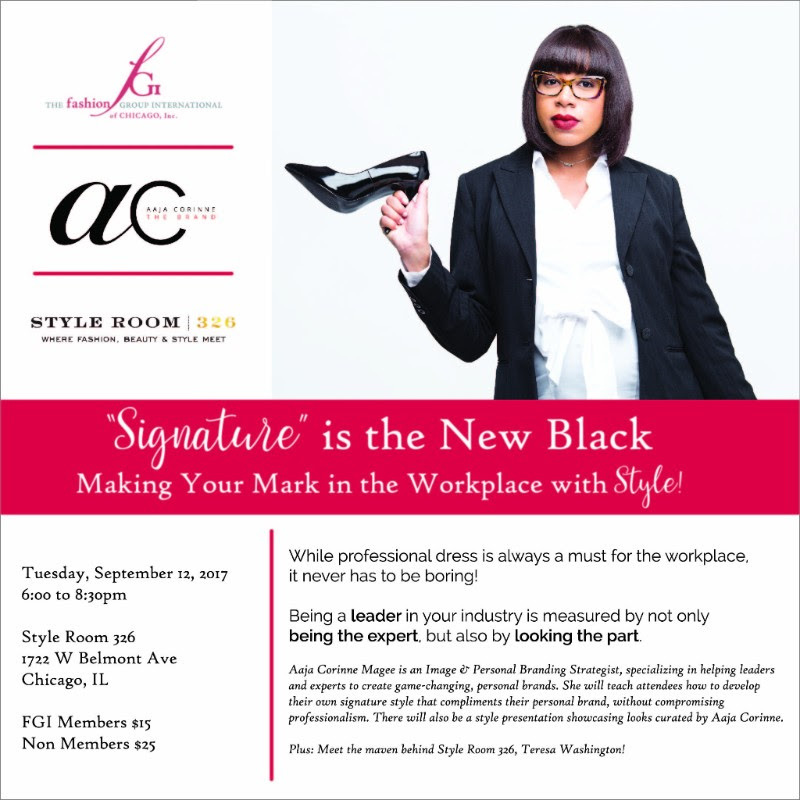 Fashion Group International of Chicago is hosting a great event next week on fashion in the workplace. Yes, you can be fashionable in the workplace. Don't succumb to boring! With image and branding strategist Aaja Corrine sharing tips and tricks, attendants will also experience the fabulous showroom of Style Room 326. While professional dress is always a must for the workplace, it never has to be boring! Being a leader in your industry is measured by both being the expert, but also by looking the part. Aaja Corinne Magee is an Image and Personal Branding Strategist, who helps high-potential leaders to create game-changing, personal brands by teaching them how to package and platform their purpose. She will teach attendees how to develop their own signature style that compliments their personal brand, without compromising professionalism.